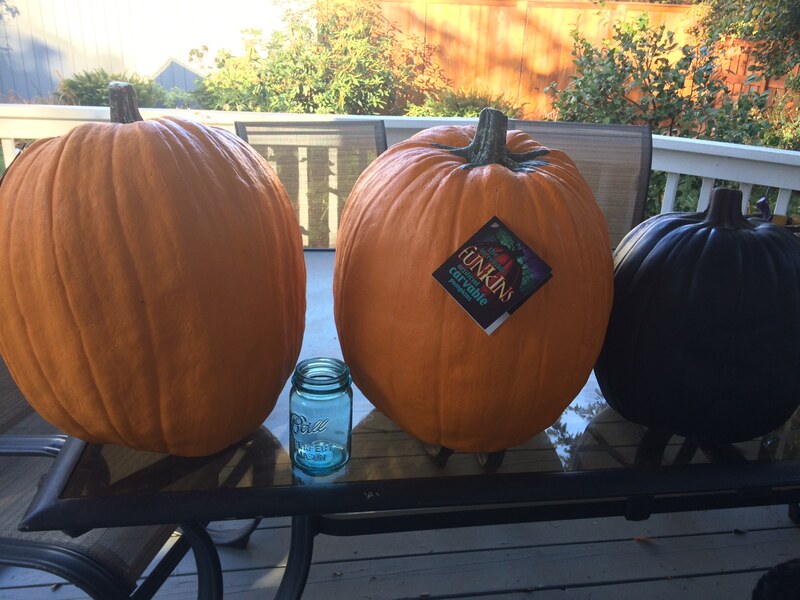 JoAnn - foam funkins - Zombie Pumpkins! I'm partial to the Michael's foam pumpkins but I waited too long and they were sold out. My neighbor mentioned she saw some at JoAnn fabric stores. I popped in and they had huge 17 inch funkins on sale from $49.99 to $14.99. Sign said 60% off but there was an extra discount at the register. Never seen the big ones before so I got 2 and a 14 inch for $10 or so. Just an FYI it's a good deal.